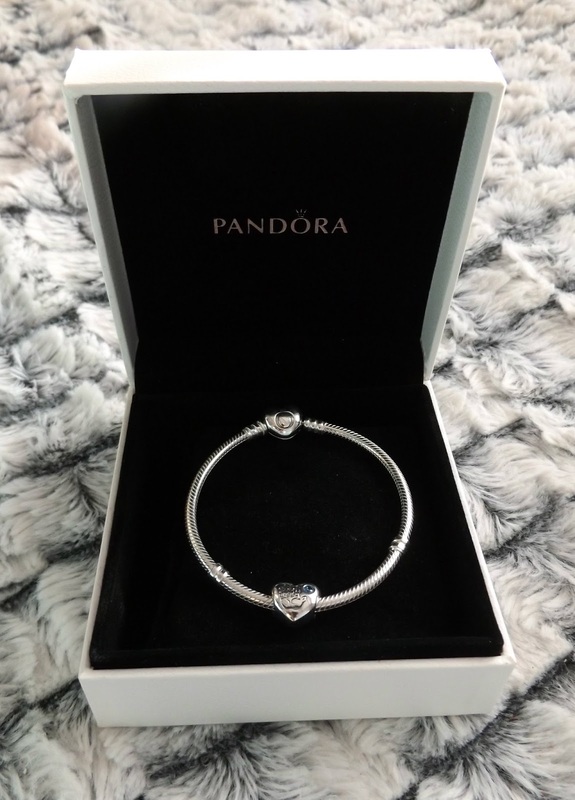 This Christmas I got my first ever Pandora bracelet. I know right? As a blogger I probably should have a collection as big as my local store but I've always loved charm bracelets. I love how custom they are, you can really let your own personality out and no two bracelets are ever the same! I've always been partial to a charm bracelet. I remember growing up I had one of the more traditional ones, that needed to be attached to the bracelet itself. I used to spend hours picking out the charms I wanted, collecting them for Birthdays and Christmas's, then saving up a small fortune to go and get them all put on. I still have it somewhere, it's got lots of hedgehogs, spider webs, globes and a tiny set of rings on it. I adored it and even now, couldn't imagine parting with it but the one thing I hated? It used to get stuck on everything. 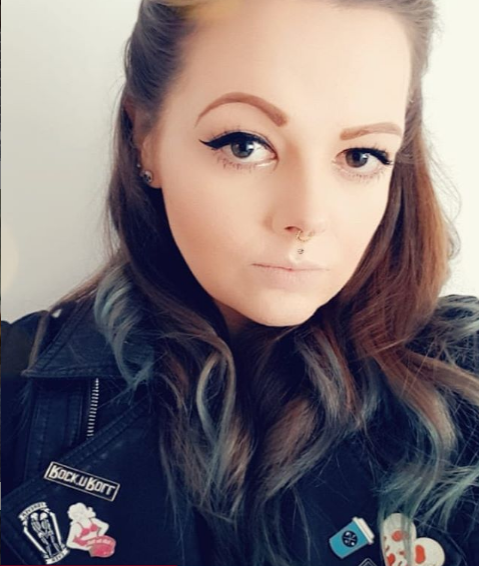 Jumpers, tights, hair, blankets, you name it, you can guarantee at some point I was stuck to it. Due to this I broke a few of the charms, loosing the crystal ball from the globe and bending my little churches steeple. So Pandora offers me the option of having that nostalgia without having to get stuck to everything! With my gorgeous new bracelet I was lucky enough to get two gorgeous charms. One of which was to celebrate the birth of my little man Oliver. 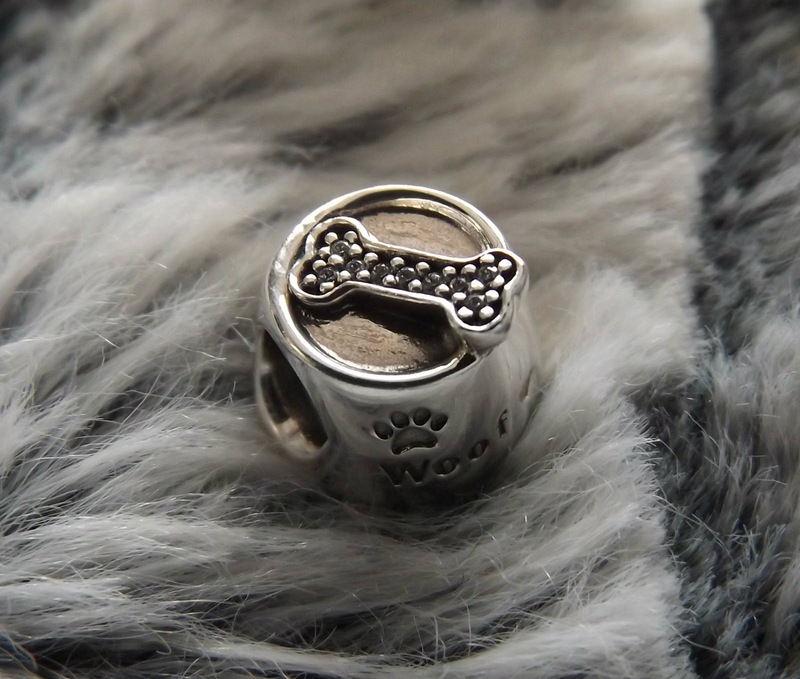 The charm is a silver heart with a tiny hand print and a blue stone on the front. On the back of it are the words 'it's a boy' engraved into the charm. 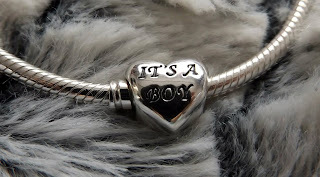 I totally adore this charm and it's going to be such a sentimental one for me! The other charm I got was one for my pooches! 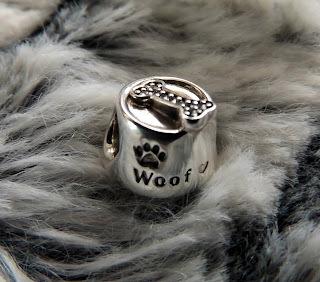 It's a tiny dog bowl with a crystal encrusted dog bone on top and the word woof with a little heart on the side. I can't wait to continue my collection! With my birthday coming up next month, I've already started a wishlist on Pandora of ones I'm going to ask for! I want my bracelet to be a wearable memory of things that really matter in my life. 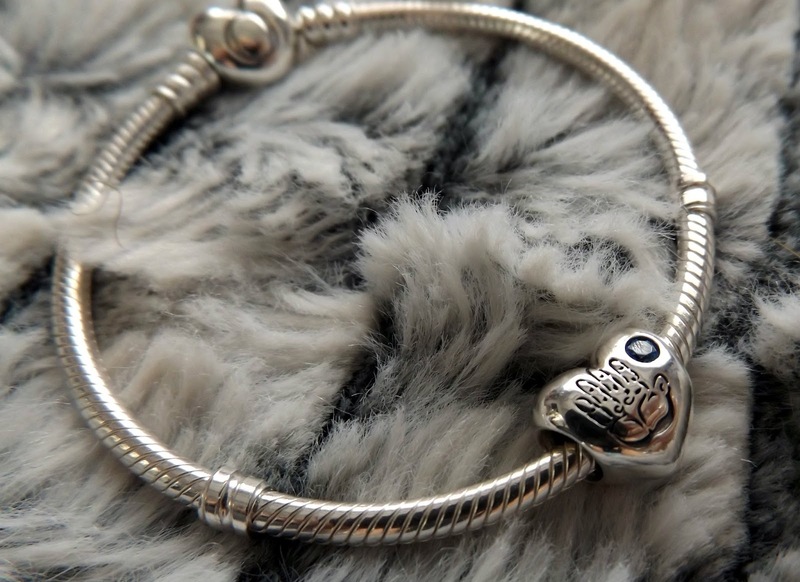 What do you think of Pandora bracelets? These look so pretty and lovely! I have never had one of these but I would love one so much!